Dolores Cannon is a past-life regressionist and hypnotherapist who specializes in the recovery and cataloging of "Lost Knowledge." Her roots in hypnosis go back to the 1960s. She has been specializing in past-life therapy since 1979.Dolores has become, perhaps, the world's most unlikely expert on the prophecies of Nostradamus. A retired Navy wife from Huntsville, AR, USA, Dolores was nearly fifty years old when she began experimenting with hypnosis and past-life regression. The results were, to say the least, quite spectacular!Working through several different subjects, Dolores was able to establish communication with the living Michel De Notredame, better known as the prophet, Nostradamus. His revelations and their impact on our own time are both fascinating and at times frightening. Dolores has written the three volume set "Conversations With Nostradamus," the series on the translation of Nostradamus' quatrains. This series contains the translation of almost 1000 prophecies, all interpreted for the first time and have been in print since 1989. It is considered the most accurate interpretation of the prophecies ever printed.During the past eighteen years Dolores has been a UFO investigator, using her skills as a regressionist to help people that been involved in abduction cases. 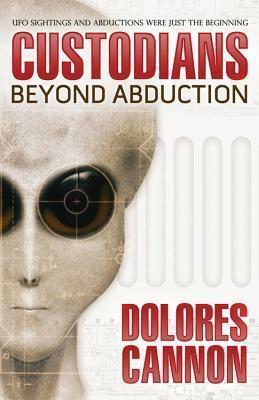 She has written several books on the UFO information volunteers have revealed while under hypnosis.Dolores is now teaching her unique technique of hypnosis all over the world.In addition to the three volumes of Converstations With Nostradamus.